Originality is a common criterion in the purchase of lights. It is this attribute has the Sir Charles ceiling light. She comes from the German lighting manufacturer oligo, which has its headquarters in Hennef. The shape of the Sir Charles ceiling light is reminiscent of a bird, and exactly how such it conveys lightness and lightheartedness. These transfers them to their environment, so that their use in children's rooms, hobby rooms, but also in cheerful furnished living recommends. It consists of a concise aluminum frame and tensioned on this temperature-resistant foil through which the light falls a G9 bulb. As befits a lamp from the production of oligo that Sir Charles is excellently processed and made from only high quality material. This high quality rounds off the positive appearance of the lamp. 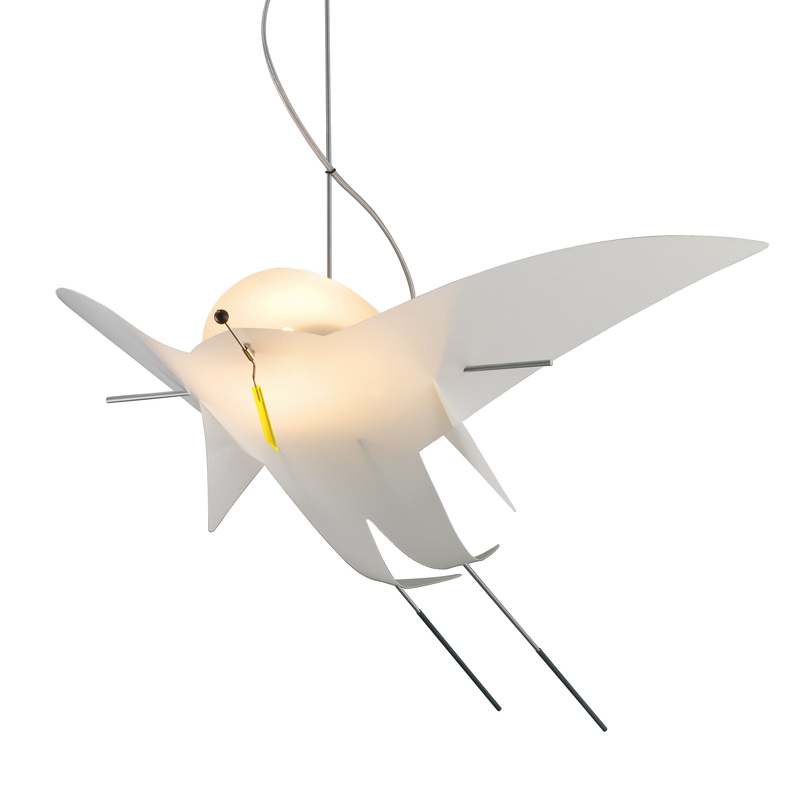 If you are looking for a lively, atmospheric and original ceiling light, then you should give the Sir Charles ceiling light some of your attention - quite possible that the glowing bird she casts a spell.